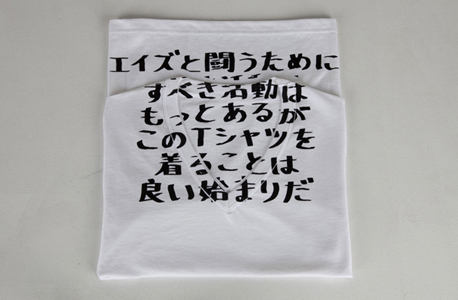 Limited edition charity AIDS T-shirt for the first time in Japanese to launch on December 1stfor the world AIDS day. 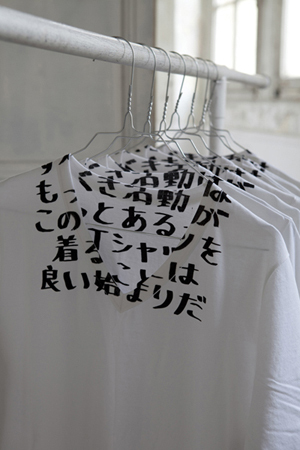 When most T-shirts carry a slogan their message may be read from a distance... dialogue is not necessary. 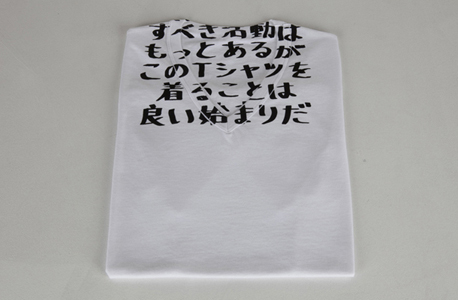 When this T-Shirt is worn it is no longer possible for others to read the text printed on it (most of the text is on the inside at the back of the V-neckline). A dialogue on HIV/AIDS is there encouraged once another asks the wearer to explain what is written on their T-Shirt. A percentage of the sales is donated to ‘AIDES’, a French organisation dedicated to fight the HIV virus and take care of patients living with HIV/AIDS (www.aides.org). Over the years, 170,000 T-shirts have been sold and brought a contribution of over 700,000 euros to ‘AIDES’. Unfortunately, the virus is still around and that action is still valid. Further to the seasonal English version, the Maison has decided to have a yearly edition every time in a different language for the World AIDS day, starting with Japanese. 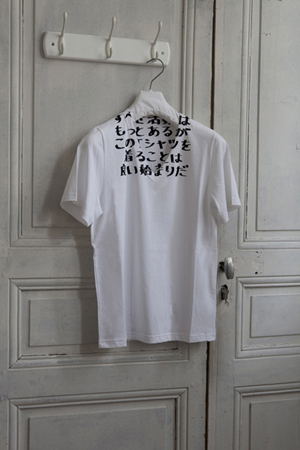 Created in Paris, sold around the world, worn touching the heart, this limited edition charity AIDS T-shirt will be exclusively available in all Maison Martin Margiela stores.